“I’m aware that this protocol is simply words on paper and words alone will not improve things.” ~ Bob Paulson, RCMP Commissioner. Assembly of First Nations National Chief Perry Bellegarde and Royal Canadian Mounted Police Commissioner Bob Paulson agree that moving forward in policing is about building mutually respectful relationships. On Tuesday morning at the AFN’s annual general assembly, the AFN and RCMP signed a memorandum of understanding. While the MOU is formally with the AFN, Paulson stated that it would guide RCMP relationships with all Indigenous communities in Canada. Paulson repeated what he told chiefs last December during a Special Chiefs Assembly: that discrimination and racism does exist within the force. “I can tell you unequivocally, that while it might exist there is no room, there is no place for it to remain,” he said. The MOU calls for, in part, the development of strategies to address and identify issues of discrimination in how the RCMP provides services. Legislative changes implemented in the last 18 months allow the RCMP to address questionable conduct of members in a more timely fashion, said Paulson. But he also pointed out that the majority of RCMP members have built strong, respectful relationships and undertake good work in Indigenous communities. 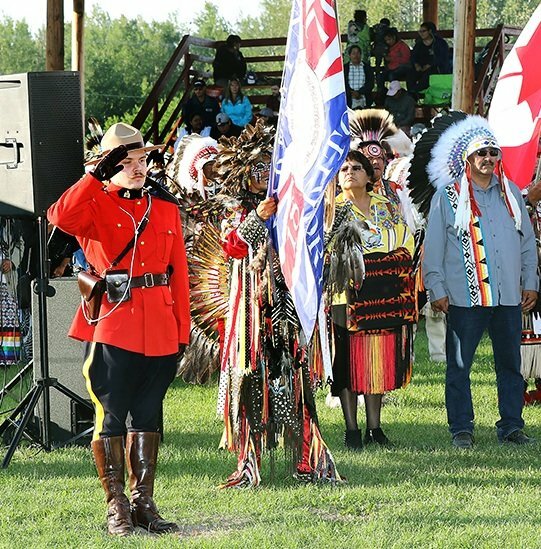 Eight per cent of those who wear RCMP uniforms have self-identified as Indigenous. While that is a respectable number, Paulson said it wasn’t enough. “To truly be a culturally-competent organization we must and we will increase that number,” he said. He pointed out that the MOU includes a commitment to develop recruitment strategies to attract Indigenous peoples. Both Bellegarde and Paulson referenced the work undertaken by the police forces in investigating murdered and missing Indigenous women cases. Bellegarde said he has told police chiefs that they will come under scrutiny during the upcoming national inquiry for their lack of resources when it came to investigating the cases, as well as lack of respect for and communication with the families. “There’s still a lot of hurt, still a lot of pain with the families that are still looking for closure,” said Bellegarde. Paulson said the RCMP would participate fully in the national inquiry into murdered and missing Indigenous women. He also said the RCMP remained committed to resolving all outstanding cases. “We know there’s going to be always issues…when it comes to policing, but again it’s all about building relationships in a respectful way and communicating and working together to bring about change, internally and externally in the way that our people are policed,” said Bellegarde. The protocol agreement is not legally binding between the RCMP and the AFN.